it is nice phone. it help in all ways. we use it for cullecting mango from the tree. 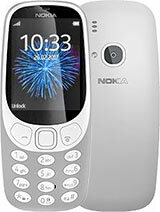 even though many series like xpressmusic series, walkman series & n series are the most updated phones of today, 3310 is still the best user friendly phone. yes i agree this is a veryyy good phone . my first phone n was using it since 2001 . Comparatively with tehnology within these days and those days, I believe this IS the best phone Nokia ever created. This is the great phone i never meet before. will this phone work in america? This is a good phone, the battery life just isnt very good, it has to be charged every 2nd or 3rd day but other than that the phone is very reliable and user friendly. wil kk hard los gaan!!! cors, may pasok ba kelly ngayon? buy the 1100 model instead.. The Nokia 3310 was the first phone I ever had. And I used to call it "The Old Faithful" cause it was just so reliable and sturdy. I think I had it for more than 8 years with me. When I had gotten a new Samsung E500, I still kept the Nokia with me instead of throwing it away and soon enough, my Samsung malfunctioned and I had to revert back to my old faithful. it as simpy heart rocking. I miss it so much.